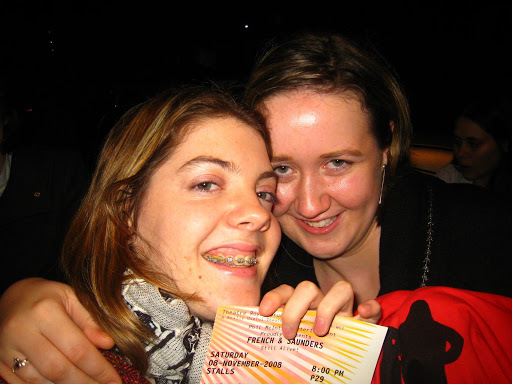 So, I went to see French and Saunders at their last performance a few weekends ago, with my cousin Deirdre from Ireland. It was AMAZING, again!! And there were a lot of celebs there too – Robin Williams walked right by me! But at first I thought they said ROBBIE Williams, so I didn’t really care, and then I later found out it was ROBIN Williams, so I really wish I was paying more attention. 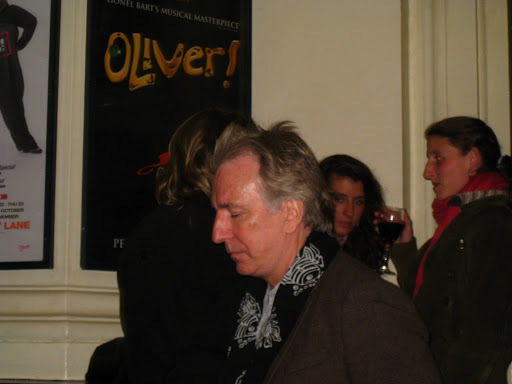 But I did see Alan Rickman – LOVE him!! And one of the guys from Little Britain (I know, I know, I really should pay more attention – it was the tall one if that helps). 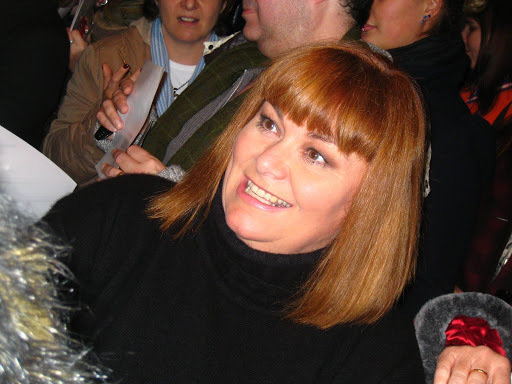 But I did get a fantastic photo with Jennifer Saunders – SO EXCITING!!! Posted on November 21, 2008, in London Life 2008-9, Pop Culture. Bookmark the permalink. Leave a comment.